It seems that the more toys my children acquire, the quicker they become bored. It's as though the sheer weight of making a decision which of their thousands of toys to play with, makes their brain short circuit. So when I was given 'The ToDo Game' I hoped that it might help cut through the noise of TV, iPads and video games and give us a chance to actually spend time together. 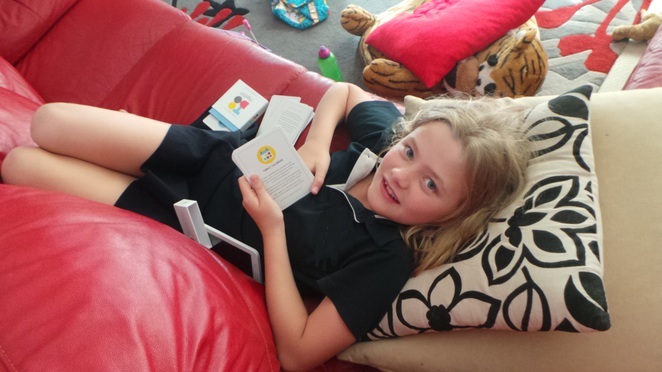 The ToDo Game is the loving creation of Sydney couple Alexandra Drury and Dave Oswell and their six year old daughter Freya. Printed on each of the 30 beautiful (and sturdy) cards is an activity for families. The idea is that a card is drawn and the family undertake the activity together. Some might take only half an hour, some you will be able to stretch to a full week (if you are lucky). I looked through the cards and was impressed – these are really inventive, clever activities that require only imagination and having a go. There is no right or wrong and many leave plenty of room for unique family 'customisations'. As soon as I began reading, my mind was already sparking at the ways we could do some of the activities. Although aimed at families with children aged between five and thirteen, many of the games are particularly suitable for older kids: the ones attached to iPads. Like my nine year old daughter. I handed her the small box without explaining what it was and walked away. Within five seconds she had paused the game she was playing on her tablet and was leafing through the cards. When I returned five minutes later, she had created a number of piles: she was sorting the cards into the activities she wanted to do immediately, and the ones we could do later. On top of the pile was 'Masterpizzas': which suggests that as a family you select ten different ingredients that may (or may not) taste good on a pizza. Each member of the family uses whichever ingredients they like to build the most inventive and creative pizza possible. The rules say everyone has to try a bit of each other's pizzas and then as a family vote on a winner. It sounded hilarious and fun and perhaps a little scary – but as soon as she read it out to her sisters, everyone was on board. Clearly this is an activity which requires a bit of preparation – but Alexandra and Dave suggest that the Game is played by choosing a card at the beginning of the week with the intention of starting it a couple of days later (allowing time to be prepared and building anticipation). Many of the games require no preparation and you can launch into them straight away, but Masterpizzas (which she is begging me to do tonight) is a great example of the ingenious and fun activities you will find. I don't want to spoil the surprise by sharing too many other ideas, but each of them provide an opportunity – to learn, or to have a laugh, or simply spend time concentrating on each other. When is the last time you got to do that as a family? Small enough to leave on the bench or pop into a suitcase for a summer holiday, The ToDo Game would make a great Christmas gift for anyone who constantly claims to be 'booooored'. Although it was only launched in September 2016, it has already been named as a finalist in a number of national award categories. 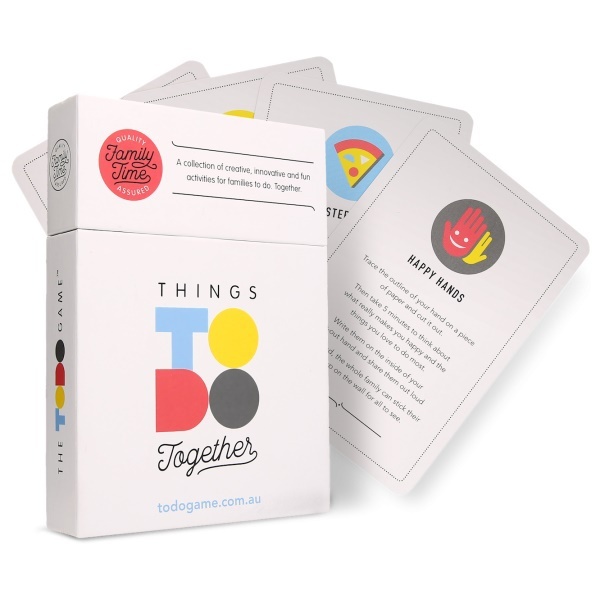 You can find The ToDo game online at www.todogame.com.au and www.hardtofind.com.au for $37.50 which includes free shipping and with some of the proceeds being proudly donated to Their Beautiful Game – a not-for-profit organisation that provides sports equipment to disadvantaged children in Australia and overseas.